Infolinks is a CPC advertising network for monetizing your blog or website with keeping the Look and feel of their sites undisturbed. I have used this ad network for years, and in today’s post I will be sharing my review of Infolinks from my experience. I have started this blog in 2012, and the first advertising network I used was Infolinks before applying for Google adsense. After that, I have started displaying Google adsense ads along with this ad network as a supplement of my Google adsense revenue. Infolinks runs a keyword-based real time bidding auction, all in order to deliver a perfectly timed, perfectly relevant ad by extracting user intent in real-time. They have also mobile apps for both Android Phone and iPhone for real time reporting. 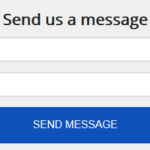 Infolinks publishers can use five types of ad units on their websites or blogs with named InFold, InTag, InText, InScreen and InFrame. The details about each ad unit are described below. The Inscreen ad is also known as ‘interstitial ad’ which is shown on your website with layering above the screen. This ad unit will be displayed in three conditions, one is when a user is entering to the publishers website, another when a user passes in between inner pages on the publishers website and the last one is when a user is leaving the publishers website to an external link. You can active any one or all of these conditions to display this ad unit on your website. This ad unit allows publishers to capitalize on the extra margin space of visitors originating from wide screen monitors but not showed in small screen devices, where ads display as vertical banner ads on the left and right sides of your website to traffic arriving from a wide screen. InFold ad unit displays ads relevant to what your website visitors are searching for, displayed at bottom of the screen with sticking there. The unique feature of this ad unit is that after a few seconds it appears quietly shrinks down to a headline and only goes up after user mouse over on it. It is the most engagement ad unit with high click through rate. This ad unit recognizes the most valuable keywords within your content and displays them in a one or two line tag cloud with targeting a wide variety of visitors with a spectrum of relevant keywords displaying on top, bottom or on both sides of your webpage. 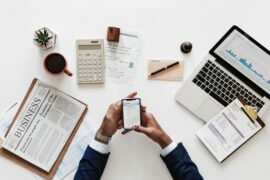 There is another option to boost your earning with activating “boost revenue” option, which displays content ads from their own network or third parity network. InText ad unit displays ads with linking text from your website with using algorithm which only highlights the most relevant keywords and will match a reasonable amount of marked words in each page. It allows you to set the number of ads to be displayed and can also control where to display ads. 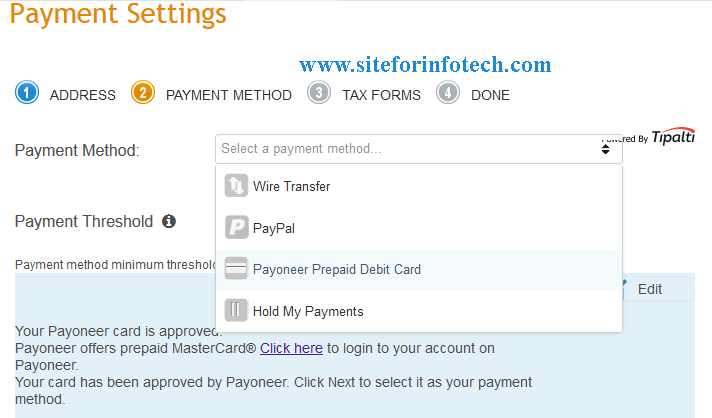 Different payment methods offered by Infolinks to their publishers are PayPal, Bank Wire, eCheck, ACH (only for U.S. bank accounts) or Payoneer. They will pay after 45 day from the end of the month when publisher have reached the minimum payment threshold for each method. For PayPal, eCheck, ACH and Payoneer they have a minimum payout threshold of $50 while the Bank Wire Transfer option has a minimum threshold requirement of $100. I am using this advertising network for monetizing my blog also since 2012 and got payments many times according to their payment terms. Here is the screenshot for proof of their payment. There is not advanced steps for registering on Infolinks as a publisher, you only have to fill out short form and integrate the single code only at once on your website. Use the following steps to join on Infolinks. At first open the registration form, fill out and submit it. The Infolinks review team will review your application. After approval integrate the Infolinks script into your web pages. After approval of your application you can integrate Infolinks code into your website using the following steps. 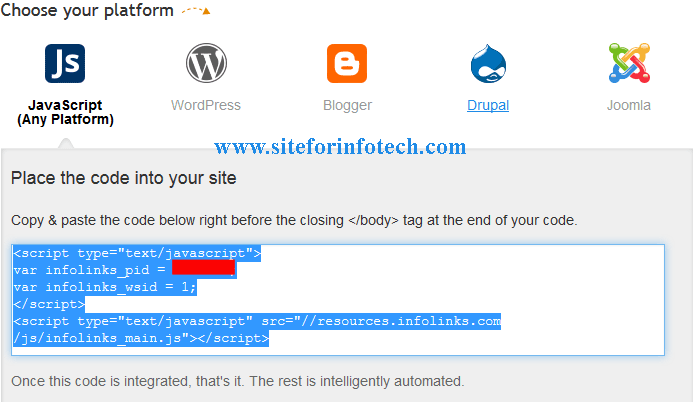 From Infolinks dashboard go to “Integrate” tab, then you will see the following screen. Copy the given code and paste it below right before the closing </body> tag at the end of your code. You can setup your preferences for displaying ads on your website from customize tab for each ad units. You can adjust ad unit color for each ad unit, turn on or off whole add unit whether you want. Turn on or off revenue booster for InTag ads and can also adjust where to display ads on top, bottom or on both. You can also select triggers for displaying InScreen ads. Since it is quick and easy for registration, implementation and generating revenue from your website, the implementation of the ads on your website may look spammy if use all of the ad units and maximum number of InText ads. Sometimes it may display irrelevant ads, which may decrease your revenue potential. But if you are looking for additional revenue along with your Google Adsense or other display ads, it will be the best option for you. I’d recommend trying it yourself for your own experience with joining here.